What was originally announced as a “Friday of Unity” was anything but that. You can call it, the Friday of Disunity, The Friday of Bigotry and Reaction, the Friday of Religious Fanaticism. 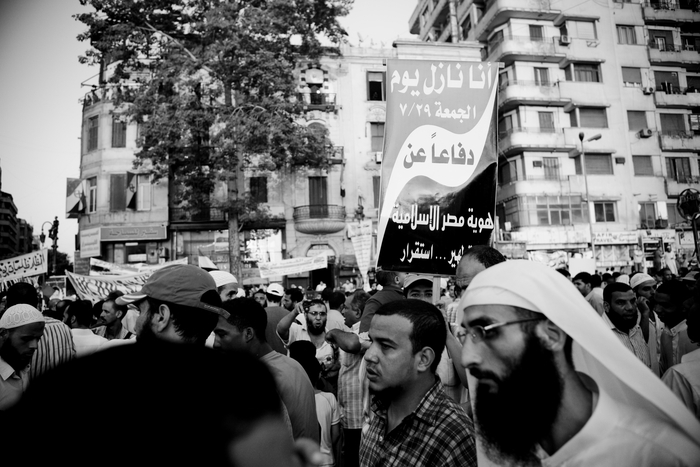 For weeks, the Islamist forces, without exception, have been denouncing the Tahrir sit-in, spreading all sorts of cheap, filthy, sensationalist lies against the largely secular protesters, amid agitation by SCAF also, that already incited Abbassiya residents against marchers on 23 July. There was tension in the square over the past few days. We didn’t know what to expect on Friday. Some were expecting an “Islamist invasion” of the square, medieval style, with swords and sticks. Others thought it was going to be a peaceful day. Some, like me, expected troubles, but we were hoping to at least try to polarize the Islamist protesters around different demands that their leaders had put forward. I suggested that Islamists would be welcomed at the gates, while distributing leaflets on the military tribunals, detainees, torture, retribution for the martyrs’ families, and social demands. There were calls by some to try to block the Islamists from entering. This was totally impossible even if you thought it was politically correct. It would have been a massacre. As the countdown to Friday started, shuttle talks were taking place between protest leaders, representatives from leftist, liberal and secular groups with officials from the Islamist groups including the Gamaa Islamiya, Salafi Nour Party and last but not least, the Muslim Brotherhood. An agreement was announced yesterday whereby the Islamists vowed not to include the application of sharia on the list of their demands and not to attack or provoke any secular protesters. In exchange, the leftist and liberal groups agreed not to engage in the “Elections First” or “Constitution First” debate and promised not to chant against SCAF (liberals in general are not those who meant by the agreement, it was largely the leftists, since the liberals are cowing down everyday to SCAF). A statement was issued, with a list of demands agreed by all parties. What happened since the night of Thursday was a complete disgrace. The Islamists have broken the agreement. They started showing up on Thursday evening setting up their stages, only to be followed later by sound systems blasting anti-secular, anti-leftist propaganda, calls for the application of sharia and pro-SCAF chants. Charge the SFPD with Murder of Kenneth Harding and Serial Murders in the Black Community! Unite to Create an Independent Investigation to Indict the Murderers! Justice for Kenneth Harding! Stop the Cover-up! Stop Pushing Black People out of San Francisco! NO to “Ethnic Cleansing”! 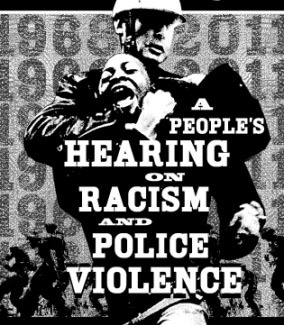 On Saturday, July 16, 2011, the SFPD killed Kenneth Harding, a 19 year-old Black man, in the Bayview area of San Francisco. Kenneth had just stepped off of a Muni-Metro train and onto the platform, where police were checking people for proof of fare payment. Called “checkpoints,” these are common ways of criminalizing poor people, especially in neighborhoods undergoing gentrification and resettlement. Checkpoints have multiple purposes. They are used to harass and trap people, violating the human right to freedom of movement. They also help to facilitate the displacement of communities of color and families who come from the Bayview area and have lived there for generations. Checkpoints allow the police to monitor community members’ movements, putting people of color in great fear and ultimately forcing them to relocate from their homes and neighborhoods to ensure their own safety. This paves the way for the area to be redeveloped by major corporations and resettled by whites. In effect, checkpoints are a necessary tool of apartheid and genocide, historically used both in the United States and throughout the world. 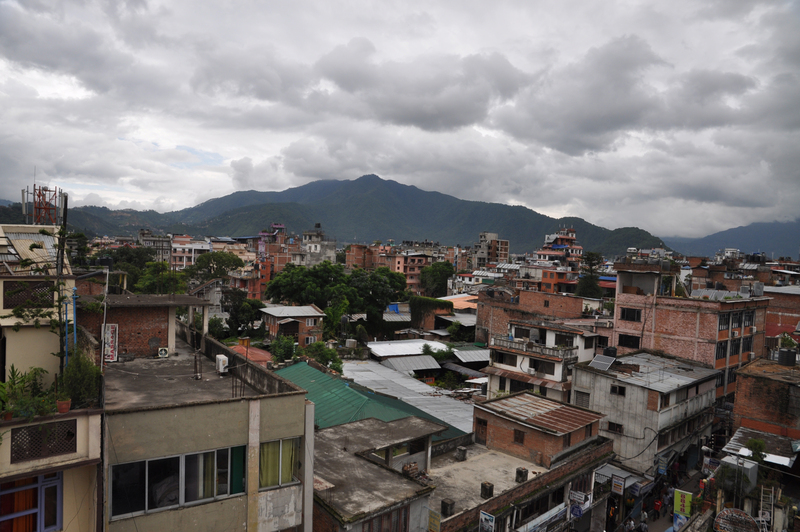 We have arrived in Nepal, the center of a radical Maoist revolution. We stood here last year, when half a million Nepalis declared their hope and determination to make a revolution. There has been a double stalemate since then, both in the constituional assembly and within the Maoist party. Every aspect of political life is marked by the need to break out, push aside roadblocks, and take a leap. 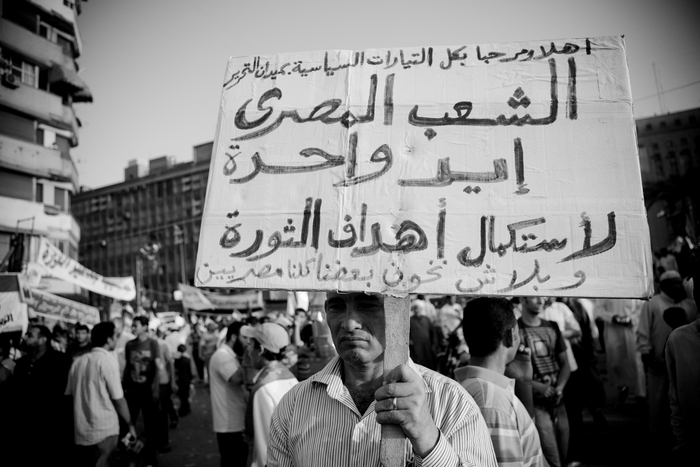 “Long live Egypt’s Supreme Council” — With Mubarak out of power and SCAF taking the reigns, what’s next for the country? Many Egyptians are expressing concerns about the deployment by the ruling Egyptian Supreme Council of the Armed Forces (SCAF) of the very same political rhetoric previously employed by the Mubarak regime, despite the SCAF’s claim that it is maintaining “neutrality” between “popular” forces; a “neutrality” that it has failed to demonstrate on all fronts. Indeed, Egyptians who want to transform their uprising into a veritable revolution have responded to the ruling SCAF by refining their definition of the identity of the armed forces. 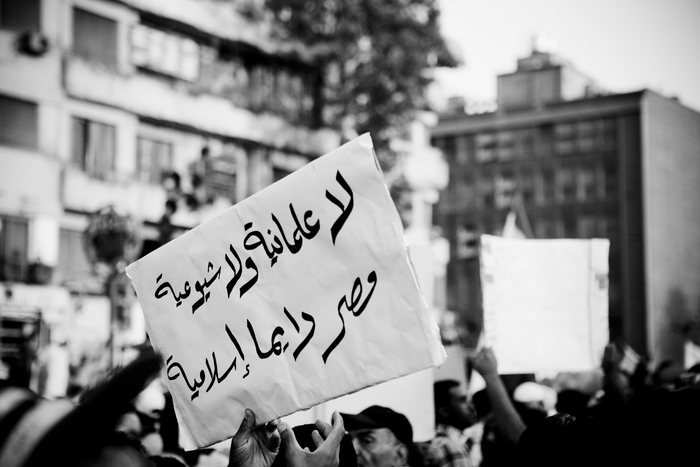 If the famous cry of the anti-Mubarak uprising enjoined the army to stand with the people against the regime, the current cry cleverly differentiates between the SCAF and the army, so that the army rank and file continue to be invoked by the revolutionaries as being on the side of the people – while the SCAF is presented as the political antagonist who seeks to maintain the Mubarak regime with some reforms, albeit without Mubarak. I should mention my connection to both San Francisco (where I was born, raised, and reside) and Seattle (where I received a Bachelors degree), where 19-year old Kenneth Harding is from and had an exaggerated criminal past. I say exaggerated because even his one conviction was minor compared to the frenzy about him getting his. Generally, what happened to Harding happens in colonized spaces to colonized subjects, from Hunter’s Point to Baghdad. The victims are people of color. Five centuries of colonially-constructed rationales have served the purpose of minimizing the value of racialized subjects. White supremacist narratives were constructed out of these European conquests of darker peoples and have outlived Jim Crow and formal colonialism. The benefit of the doubt goes to the white occupiers, or to those doing their dirty work and being vouched for, whether the SFPD or the US military. The white supremacist authority in both cases only needs to make a haphazard justification for its shoot-first and ask-questions-later approach. Being shot in the back for being black or brown will be justified by a complicit corporate press, and Harding’s exaggerated criminal past is the latest example. The Drones Campaign Network in the UK is calling for a week of action to protest the growing use of armed drones from 1st – 8th October. The week will be part of the international ‘Keep Space for Peace Week’, which this year is focusing on the use of drones. Recently, Libya has been added to the list of countries subjected to drone strikes by US and British forces, joining Afghanistan, Pakistan, Yemen and Iraq. 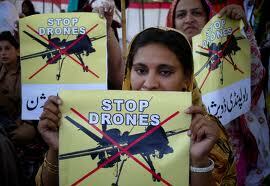 Gaza, too it hardly needs to be said, has regularly faced drone strikes by Israeli forces. Unfortunately, the list of countries facing these kind of remote attacks is only likely to grow as US military procurement plans, released in June show that the Pentagon is planning to double its arsenal of large military drones over the next decade. The UK has also announced plans to double the number of armed drones in its arsenal. Members of the network will be organising protests at various sites connected to the drone wars throughout the UK. Details will be announced nearer the time. However if you can’t attend one of these events you may well want to organise something in your local area. Suggestions include meeting with your local MP, organising a speaker meeting about drones or having a stall in your local high street with information and letter/petition signing. Further details and resources will be available here as we get closer to the event. 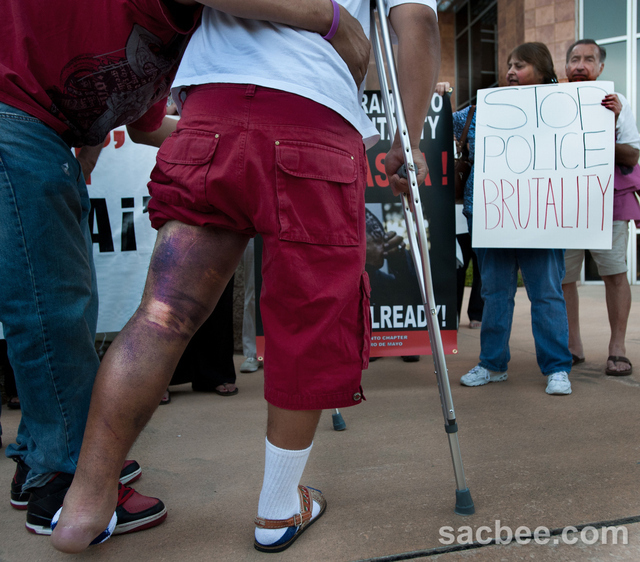 This week, protests took place in Stockton, Manteca, and Sacramento around incidents of police brutality and murder. All three demanded answers and the releasing of information by the police in regards to the cause of death of those in question.